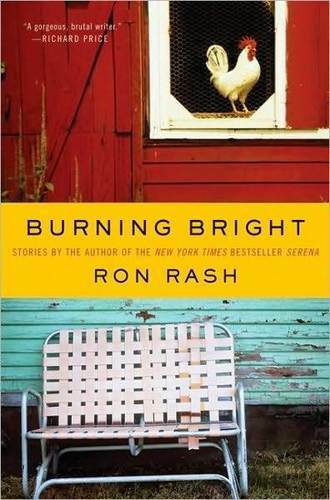 Burning Bright by Ron Rash was the most surprising reads for me for the year 2011. Short story collections have always held that special place in my heart and always will. Ron Rash’s stories and novels have been compared to Steinbeck, Cormac McCarthy and Faulkner, which I am not at all surprised after reading the collection. He most certainly deserves praise and more. Burning Bright is a marvellous collection of twelve stories that focus on the people of Appalachia who though go through a lot of hardships and troubles refuse to give up their pride and yet keep seeking happiness. The stories are dark and rural in nature and yet at the core of the darkness is the human spark that carries itself on regardless. My favourite stories in this collection are, “The Ascent” – a story of a young boy who discovers two dead bodies frozen in the wreckage of a small aircraft in the Great Smokies. What happens afterward is the proverbial twist in the tale. I also thoroughly enjoyed reading, “Dead Confederates” – a story of what happens when a greedy fellow schemes with a desperate soul. “Burning Bright” on the other hand is all about love beyond any logic and beyond the right and the wrong. “He imagined towns where hungry men hung on boxcars looking for work that couldn’t be found, shacks where families lived who didn’t even have one swaybacked milk cow. He imagined cities where blood stained the sidewalks beneath buildings tall as ridges. He tried to imagine a place worse than where he was. For me Burning Bright was a revelation to a writer whose works I will read more of in the future. Ron Rash breathes humanity in every word. He makes words dance on the pages and the reader is left gasping for more amidst meth addicts, sheriffs and lost souls who have a long way to go. Read the stories for the sheer magic of Ron’s writing and be mesmerized by it. This entry was posted in Books, Canongate Books, Literary Fiction, Review, short stories and tagged Appalachian Mountains, Burning Bright, Canongate Books, Ron Rash, Rural lands, short stories on December 30, 2011 by thehungryreader. 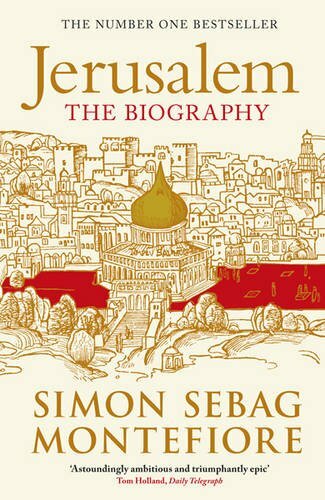 Jerusalem: The Biography is one of the great reads of the year for me and you should not miss out on reading this one. I have always loved reading anything by Simon Sebag Montefiore. He writes with honesty and passion that is hard to miss. Whether it is about Stalin as a boy and adolescent to Monsters and Heroes, Montefiore does a remarkable job of it. Jerusalem is a true masterpiece – a biography of a city and yet so much more. It is not easy to write about a city – and also considering that the city is so old and ravaged by the brutalities of time. The thing about the book is that the reader feels as though he is stepping back in time and experiencing the history of Jerusalem first hand. Jerusalem the book has been written in a very colourful manner – full of anecdotes, how the city came to be what it is today, the rulers, the ones who squandered and looted its riches, the ones who hold it in high regard – its Kings and its Prophets. Montefiore does not leave any stone unturned. Having said that, there were times I would tend to disagree with the author and yet could not put the book down. There is not much in terms of guidance or analysis by the writer, and yet the book shines. What got me started was the role Jerusalem plays in the apocalyptic vision of fundamentalist Christians and Muslims, and how that has been brought to light in this book. The other aspect that got me going was the deep-rooted connection between Christians and Muslims is made so evident and clear throughout the book and the way it is done is marvellous. Sparkling and profound, the book is written keeping in mind the most terrible things that have happened behind her walls and also the richness of its land. The book does not take sides. It is an unbiased book and at the same time lays the facts as they are which should be the case while writing about a city. My favourite chapter in the book is, “Sunset of the Byzantines” which truly captures the essence of the book – its timeline and charisma in drawing historical references. To review a book of Jerusalem’s stature would definitely require a research paper. It is that intense and deep. What I can say is that this is not one of your airport reads. It requires the time and attention that a book of this kind deserves. It however makes you turn the page and wonder at the scale and scope of Jerusalem’s place in history. This entry was posted in Books, Hachette Book Group, Non Fiction, Orion Books, Review and tagged biography, city, hachette book group, Jerusalem, Orion Books, religion, Simon Sebag Montefiore on December 28, 2011 by thehungryreader. Since the advent of Twitter (140 characters only) everyone is a writer and everyone has a story to tell. The advantage to the reader being that these stories are short and sometimes very short, so the reader can assimilate it all and think about them long after the stories are done with. There are the random fifty-five word stories and then the 140 character stories. 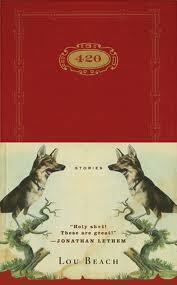 Amidst all this, there shines a book of stories summing to only 420 characters – including the words. Lou Beach started writing these stories as his Facebook status updates. The condition was: Each story was limited to 420 characters. These miniature stories are something else. They contain worlds larger and more meaningful than most full-length stories. The character and texture of these stories is of fluidity. There are no chains or boundaries to this kind of writing. It is seamless and can take any shape that it wants, which in essence is the beauty of these stories. 420 Characters does not restrict itself to any one particular emotion. It traverses the entire rainbow of emotions – love, loneliness, envy, hate, anger and more. Lou Beach intends to mesmerize the reader even in the shortest of stories and does it marvelously. I was taken in by these stories from the very beginning. What I love about the writing is that it has the essence of poetry attached to it. The reader through such writing is touched or not – emotions seep through the writing and enter the reader, evoking the same feelings, which is not easy to do for a writer. On the other hand, the book may not be for everyone. Not everyone can digest or would want to read a book with stories limiting themselves to 420 characters. These are great story starters which can stand alone and also evolve into something else. They have the capacity to evoke the readers’ imagination and make him or her think a little more while reading stories and the due credit goes only to Lou Beach. A must read for its brevity and impact. This entry was posted in Books, Fiction, Houghton Mifflin Harcourt, Literary Fiction, Review, short stories and tagged 420 characters, Houghton Mifflin Harcourt, Lou Beach, short stories on December 28, 2011 by thehungryreader. When Anita Desai writes, she creates magic. I have always held on to this belief and moreover also thought that she is one of the under-rated writers in her own country. She writes sparingly and the words sparkle long after the book is published. My tryst with Anita Desai took place when I was barely seventeen. I remember watching the movie In Custody – a Merchant-Ivory production and as the credits rolled at the start, I saw that it was based on a novel of the similar name by a novelist called Anita Desai. I read the book as I loved the film so much. 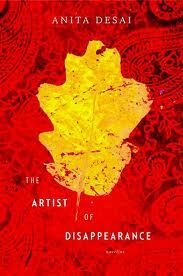 The book did not disappoint me at all and from thereon I read almost everything this writer had to offer. The Artist of Disappearance is her latest offering. It is a collection of three novellas and in every way as brilliant as her previous works. The Anita Desai Reader (and I do not mean this in the loose sense of the word) knows what to expect. The writing is not only clear but also has many layers to it and as each one unfolds, the others become more elusive. The prose is beautiful, the nuances are well taken care of and she tries not to involve technology in her writing. This collection of novellas focuses primarily on preservation and change. Of how the characters resist it and some give in, to face the consequences of their choices. It speaks of objects and lives – the nature of the two and how inter-connected they are. The first novella, “The Museum of Final Journeys” talks of an officer of the British Government sent to a backwater town for his training. He is approached by an old man (the caretaker) from the countryside who wants him to visit a house now turned to a museum of strange and beautiful items. The old man wants to get rid of the most valuable item, which will haunt the young government officer for years to come. The second novella, “Translator, Translated” is a story of a seemingly quiet teacher whose interest lies primarily in Oriya, a little less known language and how she gets the opportunity to translate her favourite writer’s first book in English. Things go haywire when the author publishes her second book and the teacher takes it upon herself to connect the loose ends, with repercussions unknown. The third and last novella in the collection, “The Artist of Disappearance” Ravi wants to live an unknown life – like a hermit in the forest. Suddenly his life is turned upside-down when a film crew wants to interview him. He doesn’t feel a part of the existence and disappears using his tact and mastery. Each of the characters in these novellas wants to preserve – to not let go and life doesn’t give them that opportunity. Ms. Desai’s craft is at a height – she knows what she is doing and she nails it with her writing. Read her for the writing, for the plots she creates and for the sheer beauty of language. This entry was posted in Books, Fiction, Houghton Mifflin Harcourt, Literary Fiction, Novella, Review and tagged anita desai, Fiction, Houghton Mifflin Harcourt, India, literary fiction, novellas, The Artist of Disappearance on December 28, 2011 by thehungryreader. 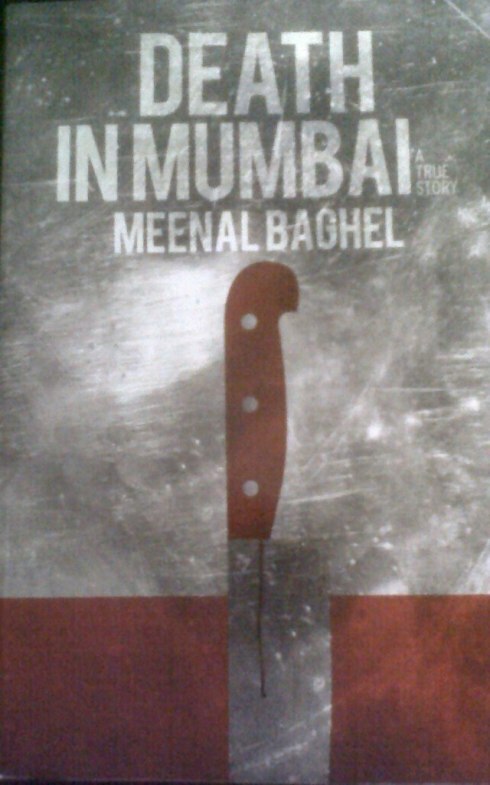 Death in Mumbai by Meenal Baghel is a gripping account of the infamous killing of Neeraj Grover by an aspiring actress Maria Susairaj and her naval boyfriend Emile Jerome. Everyone knows the story and how the killing took place. Everyone knows what happened. Why the need then to chronicle this in a book? That is because no one is aware of how it started and also because one must not forget that brutalities such as this one still exist in our so-called civil society. Meenal Baghel writes the book without any bias which is what is needed while writing such a book. The writer has to come without opinions and pre-conceived notions and only then can a book of this stature be written. The book takes into account everything, all of it: how Neeraj met Maria, his career graph, her need to become what she wanted to, the lengths she would go to, the involvement of Emile, the murder and its aftermath. Meenal takes the writing to one step further – she involves the direct and the indirect cast as well. From speaking with Ekta Kapoor (Neeraj Grover used to work for her) to providing a perspective on the ‘script opportune’ Ram Gopal Varma and his film based on this incident, Neeraj’s family members and their grief, Meenal doesn’t leave any stone unturned. The best part of the book is the role played by the Mumbai police led by Rakesh Maria, then the joint Commissioner of Mumbai Crime Branch, in cracking the case. The book is heavy with the details (because that is where the meat lies) – the interrogation, the confession and finally the trial and its outcome. Death in Mumbai is not for the faint hearted. It is brutal, hard-hitting and but of course real. It shakes you up and makes you see the murder in a different light – The motives and what led to it. I thoroughly enjoyed the book – the writing is honest and blunt and it made me finish the book in one sitting. This entry was posted in Books, Non Fiction, Random House India, Review and tagged Death in Mumbai, Emile Jerome, Love, Maria Susairaj, Meenal Baghel, murder, Neeraj Grover, Non-fiction, random house india on December 27, 2011 by thehungryreader.